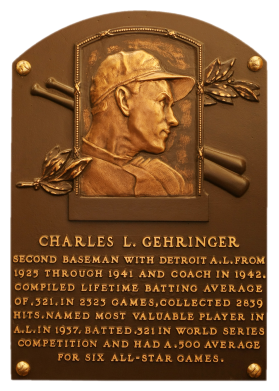 His efficient and dependable play at second base for the Tigers earned Charlie Gehringer the appellation "The Mechanical Man." He regularly led the league in fielding and hit over .300 in 13 of 16 seasons. He had over 100 RBI and 200 or more hits in seven seasons. In 1937, his loop-high .371 average made him AL MVP. He retired with a career .320 batting average, 2,839 hits, 1,774 runs scored, and 1.427 RBI. 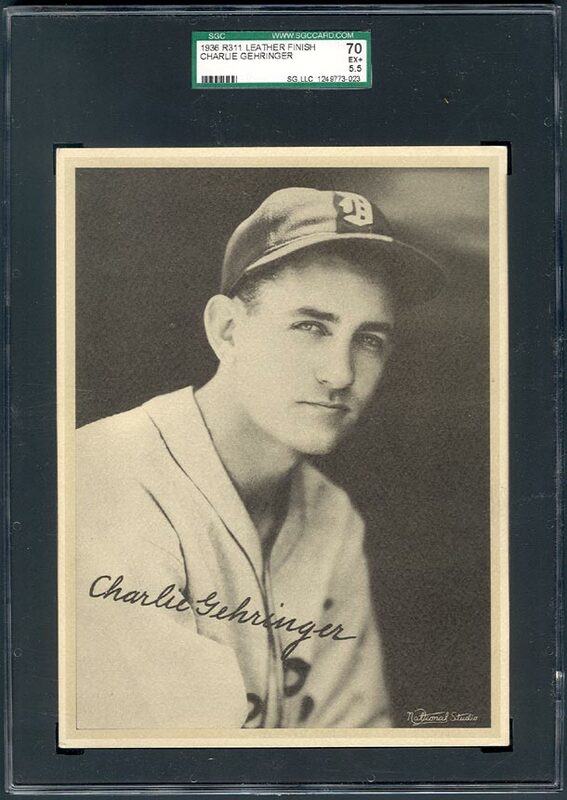 Comments: The first portrait for this HOFer - a 1939 PlayBall PSA 3 purchased via eBay in November, 2002. A month later I upgraded to a PSA 7 with another eBay win. 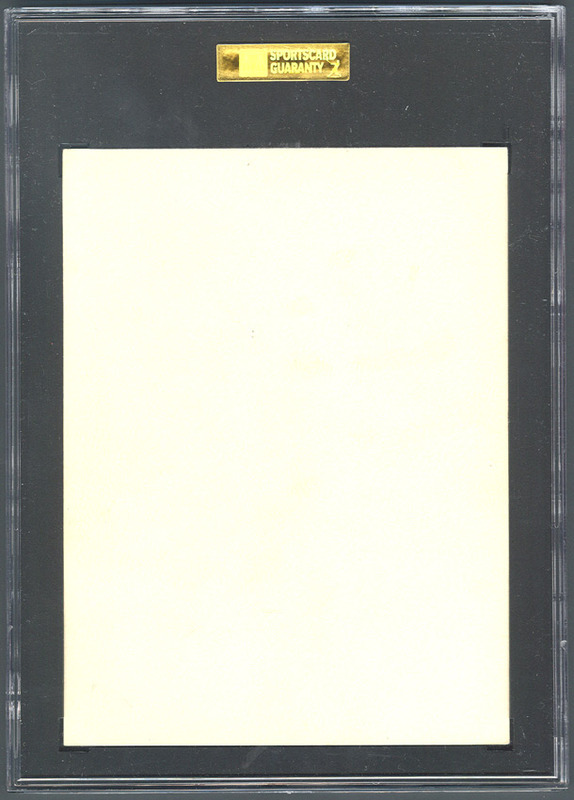 In October, 2004 another eBay win rewarded me with PSA 8. In May, 2007 I decided to replace the PlayBall with another type card, since I also had a PSA 8 Klein. I won this R311 SGC 70 through eBay from seller David Bryan. I have not seen a better copy available since. Description: This set of unnumbered cards, issued as a premium in 1936, is distinctive because of its uneven, leather-like surface. 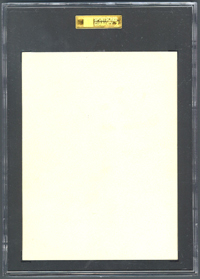 The cards measure 6# X 8" and display a facsimile autograph on the black and white photo surrounded by a plain border. The cards are unnumbered and include individual player photos, multi-player photos and team photos of the 1935 pennant winners.